McGaughy's Suspension Parts McGaughy’s Suspension Parts has been designing and manufacturing some of the industry’s finest truck lift and lowering kits, and suspension components for more than 30 years. NorCal Truck carries a vast selection of McGaughy’s lift and lowering suspension kits and parts, disc brake kits, shocks, steering components, adjustable track bars, traction bars, rear air bag helper kits, shock extenders, and so much more. 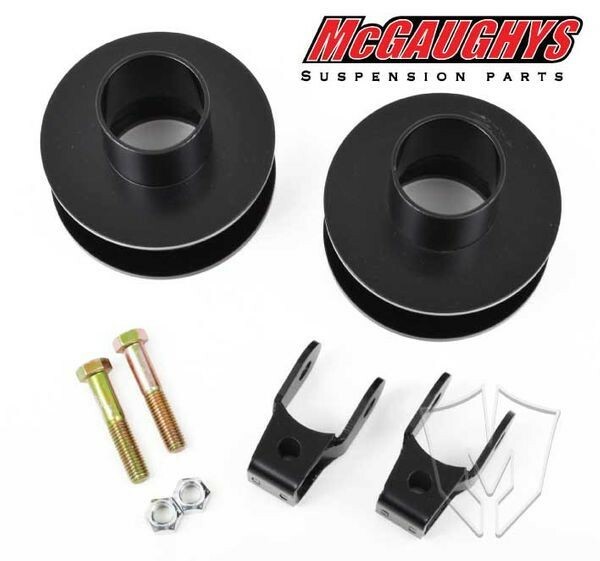 Find all of the McGaughy’s Suspension parts youn need at NorCaltruck.com today! Truck Suspension Lift & Leveling Kits Achieve the ground clearance, intimidating looks, and off-roading prowess you’re looking for with a high performance suspension lift kit from NorCal Truck. We carry the industry’s finest brands of kits and individual components, including leveling kits, torsion bar keys, and coil spring spacers. We have the parts to get your rig boosted the standard 4-6 inches, but also have parts for just a slight 1-inch raise or as much as 12 inches.